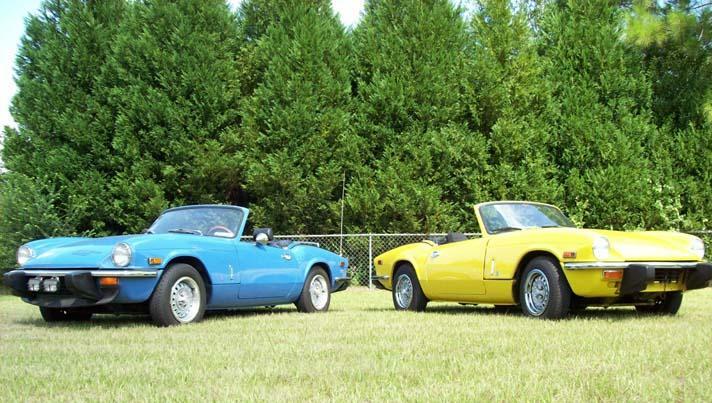 Mike's Triumph Spitfire: 33 Years of Fun! 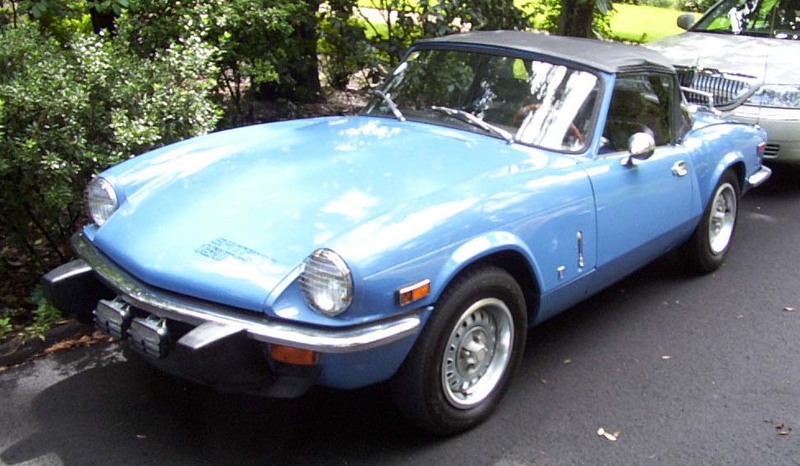 Mike's Triumph Spitfire: 37 Years of Fun! 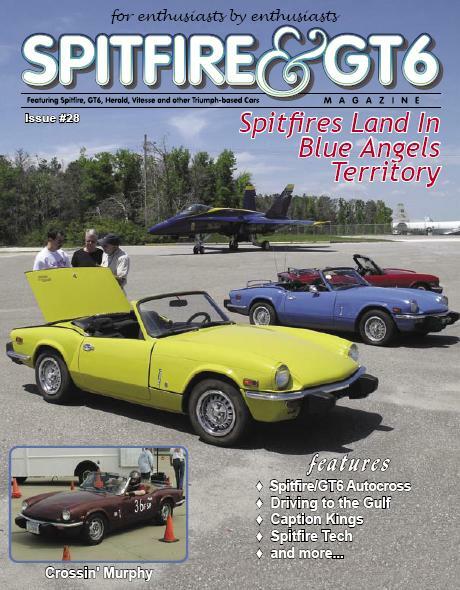 "Triumph Spitfire & GT6 Magazine"
"Triumph Spitfire and GT6 Magazine" !! NOTE: The image of the magazine cover is used here with permission of the magazine editor who photographed & designed it. I have kept my 1977 Triumph Spitfire 1500 for 37 years since April 1981. It was and is my FIRST car. I got it the month before my 16th birthday. Therefore, British sports cars are one of my hobbies. It was in storage for only some of my Navy years and some of my college years. After graduation, I was finally able to restore it and drive it. They are a lot of work, but a lot of fun too! Below are my Spitfire adventures. 2018: We had 7 cars in the Spitfire/GT6 class of 130 cars! 2017: We had 4 Spitfires, 3 from out-of-town! 2016: We had 7 Spitfires so better than last year! 2015: First time ever NO Spitfires arrived! 2011: We had only 2 Spitfires! Please try to attend the Pensacola British Car Show next year in April sponsored by the Panhandle British Car Association in Pensacola, Florida! In 2004, 2007, & 2009 we had eight Spitfires! As club webmaster, I'm inviting all Spitfire/GT6 owners in the Southeast and all over to come have fun with us by Pensacola Bay in April. One Spitfire couple drove all the way from Indiana and three groups came from Kentucky! Others have attended from central Louisiana and Tampa for several years! You can too! Pictures and details on the PBCA site. As of April 2018, I've had my Spitfire 1500 for 37 years! Who else can say they still have their first car, 30+ years later? I try to keep my Spitfire 1500 original on the outside, but internally I have had to make some changes. The ignition system is no longer Lucas. It has been Allison optical ignition since 1986 and works great! (that system is now made by Crane.) The exhaust manifold, cast-iron, cracked in half over 15 years ago. I replaced it with a steel header that, unfortunately, changed the standard British sound of the car, but it works fine otherwise. My best improvement was to replace the Zenith-Stromberg carburetor with a Weber DGV two-barrel progressive racing carb! It works great and gives the car more power and reliability! [Year 2016] So the engine has been rebuilt and now sits in my shop waiting to be re-installed. Meanwhile I sold my Triumph 2000 and bought a 1980 Spitfire that runs and drives but needs a lot of work. I think I'll have better luck with later 1970's & 1980 Spitfires than with 1960's cars. [Year 2015] Well, time has not been available with two kids plus crazy things going on at my job so it took a while to get the engine out and to the rebuilder. Meanwhile I tinkered with my Triumph 2000 sedan and drove it to my club's annual show. [Year 2014] I attended some shows without my spitfire because it needed an engine rebuild. I also decided to do that conversion to overdrive transmission that I have wanted to do for a LONG time. I did bring my 1966 Triumph 2000 to the South Alabama British Car Festival and the Pensacola British Car Show. [Year 2013] Shows attended: Pensacola British Car Show and South Alabama British Car Festival. The European show has been moved to the first week of June, but that is when we take vacation for our anniversary, so I have not been able to attend. [Year 2012] Shows attended: drove to New Orleans British Car Day, the Pensacola British Car Show (my club), drove to the "Mitty" Historic Sportscar Racing weekend & Spitfire 50th anniversary at Road Atlanta, and the European Car show at NAS Pensacola (Triumph 2000). [Year 2011] Shows attended: drove to New Orleans British Car Day, the Pensacola British Car Show (my club), the European Car show at NAS Pensacola(Triumph 2000). [Year 2010] Shows attended: New Orleans British Car Day, the Pensacola British Car Show (my club), the European Car show at NAS Pensacola. [Year 2009] Shows attended: New Orleans British Car Day, the Pensacola British Car Show (my club), the European Car show at NAS Pensacola. [Year 2008] Shows attended: New Orleans British Car Day, the Pensacola British Car Show (my club), the European Car show at NAS Pensacola. [Year 2007] Shows attended: New Orleans British Car Day, the Pensacola British Car Show (my club), the Silverhill Alabama Old Library Benefit show, Five Flags Speedway track event. [Year 2006] Shows attended: New Orleans British Car Day, the Pensacola Beach British Car Show (my club), the European Car show at NAS Pensacola, and the Shriner's Hadji Temple Benefit show. 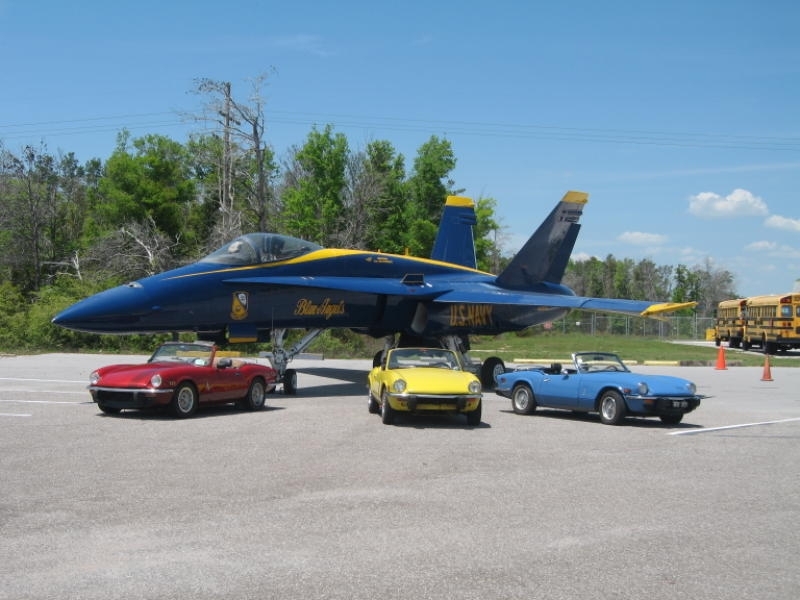 [Year 2005] Shows attended: the Pensacola Beach British Car Show (my club), the European Car show at NAS Pensacola, and the Shriner's Hadji Temple Benefit show. Original center arm rest restored with new vinyl (GT6 one returned). [Year 2004] Attended the New Orleans British car show and my club's show on April 17th! We had eight Spitfires but no GT6! [Year 2003] Attended the British Motoring Club New Orleans 2003 show in March, the Pensacola British Car Beach Bash in April, the Haji Shrine Car Show to benefit Shriner's Hospitals, worked on more engine compatment detailing, installed new lug nuts and wheel trim rings, attended the Montgomery British Car show, and attended South Alabama British Car Festival. [Year 2002] Replaced the rear leaf spring, installed Lucas Sport coil and yellow battery, replaced axle u-joints. Attended shows in New Orleans, Pensacola Beach, Tennessee, Lillian Alabama VFD, AACA Seville Square Pensacola, South Alabama British Car Festival, and drove in my club's "Poker Rally". [Year 2001] New interior parts: glove boxes, door panels, "Triumph" seat covers. Center arm rest borrowed from my GT6 (sold 2006) until restoration begins on it. New trunk mat and replacement used spare tire cover and lens-back covers. More engine compartment detailing. DRIVEN from north Pensacola to shows in New Orleans, south Tallahassee, Panama City, Fairhope(AL), and Pensacola Beach for a total of more than 1300 miles. Now have 2 overdrive transmissions and a driveshaft but still need its solenoid to swap out on the car someday! [Year 2000] More engine detailing, more interior parts cleaned and re-installed. Trailered to New Orleans British Car Day 2000 and driven to local Pensacola Beach British Car Beach Bash and Mobile Hooter's Car Show. But the highlight of the year was getting married! [Year 1999] The Spitfire was taken apart, all non-painted parts removed including engine & transmission. Body brought to paint/body shop for dents, dings, and one quarter panel replacement. Mimossa Yellow paint applied. Returned to home and reassembled by owner (me!). Only driven on short trips during 1999 to test it and enjoy the work done for the remainder of the year. [Beginning] I took my first long trip for the weekend since getting it out of storage and back on the road in June 1998. The car performed beautifully! I drove from Pensacola to Seagrove, FL near Panama City just over two hours each way. My only disadvantage is that the original owner did not order the optional overdrive transmission. The speed limit was only 55mph in 1977, after all. So with only a four-speed, the 1500cc engine really winds up there at today's higher speed limits. For those who don't know, the redline is at 6000rpm. "Twenty Years With My Spitfire!" "British Car Beach Bash 2001"
"PBCA British Car Beach Bash 2002"
"PBCA British Car Beach Bash 2003"
"PBCA's Pensacola British Car Show 2007"
Email me with a Spitfire MK1 website link! I am also the webmaster for the Panhandle British Car Association located in Pensacola, Florida. We have club meetings each month (except December) and club outings throughout the year. 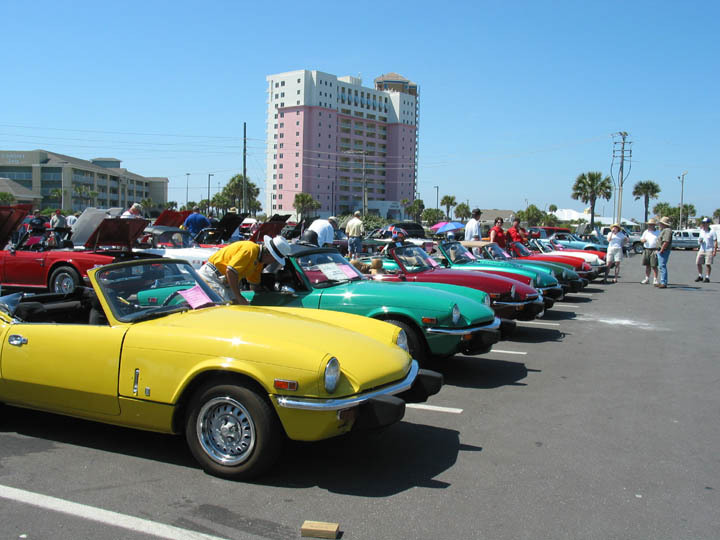 Every April, the club has its annual British Car show down on Pensacola Bay. In April 2018 there were 130 cars of all types at our show. We need more Spitfires & GT6s! If you live near Pensacola and would like to join, we welcome all British cars. Just see our website for details! If you would like me to design a homepage for you, send me email and you will get a quick response! This Spitfire MAIN PAGE last updated: 7-SEPT-2018. Moved here to Angelfire on November 6th, 1999!